Shared data bundles and increased speeds on the move make 4G a good option for many SMBs. It's a fairly new technology, only available on the EE mobile network so far, but adoption is ramping up. 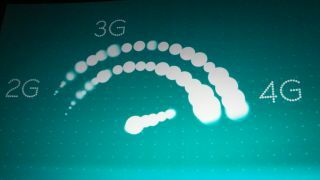 After launching 4G last year, EE now covers more than 50% of the UK. But by 2014, SMBs will be able to choose from a range of targeted options from many more providers, including solutions from Vodafone, O2, BT and others, who will launch packages alongside additional services such as broadband. Interesting 4G business options are already appearing. 'Shared data' tariffs, aimed specifically at SMBs, allow you to buy a large bundle of 4G to share between devices such as iPads, mobile phones and mobile Wi-Fi. With more options appearing all the time, it's tempting to dive into 4G immediately; and SMBs with a specific need - such as the ability to transfer large files on the move – could find it worth looking at a plan with EE now. For a more tentative or less urgent requirement, a minimal pay-as-you-go consumer option might be better; leaving you free to move your contract next year. Businesses that need to send data back and forth, such as those in insurance, estate agents and construction, would benefit from early 4G opportunities using EE, says Chris Nicoll, Principal Analyst, Wireless Networks at Analysys Mason. But SMBs should research 4G coverage in their area before taking out a lengthy contract, especially if they are based in a remote location. This is because it takes up to two years to roll out a wireless network entirely, says Nicoll. London is the starting point for 4G roll out, with the nearby suburbs and other big cities coming next. Networks are currently on their way from all the 4G operators, who plan to come close to catching up with EE's coverage by next year. However, it is thought EE's 4G network - which runs off re-farmed mobile spectrum - will not work as well inside buildings as those of some of its rivals. "And you could soon end up with offerings from BT, which has also bought spectrum, as well as from Three, O2 Vodafone and others," Nicoll says. Faster 4G technology can become a replacement for broadband if you can't get a good connection in your area, or as backup if your fixed line goes down. One UK SMB, digital marketing firm TopLine Communications, is using a consumer 4G option for working on the move, and as a back up solution. Heather Baker, Managing Director, says the company has 4G dongles for use when people are out of the office or as a "plan B" for when broadband goes down. Baker is currently looking at expanding to a full 4G business solution. "We use a number of cloud services, so fast internet is a necessity," she says. "When you have 10 people in the office, if the broadband goes down for an hour, that's 10 hours of downtime." 4G is also good for office moves or initial set-up as it makes it easier to implement an internet connection in the first place. "For the first time, we have genuine choice," Baker says. "Previously, a small business that needed an internet connection had to go through a complex application process and then wait for eight weeks for BT to install a line. "Now, you can just walk in to an EE store, buy a bunch of dongles, and be up and running within an hour. This makes starting up, moving office and taking your business mobile dramatically easier." Vodafone's upcoming 4G offering, expected to launch to businesses in early 2014, could suit SMBs looking for a combination of broadband and LTE. It's likely the operator will package 4G with fixed broadband through last year's acquisition of Cable & Wireless Worldwide - a solution well suited to firms with staff travelling in and out of the office. This type of a package could also be offered by other operators in the future, including BT which already has a business-ready broadband solution. Meanwhile, shared data plans could provide the ability to buy upwards of 50GB of data to use across multiple devices. This allows SMBs to control expenses by buying one plan and sharing it across employees' smartphones, tablets and laptops. The US market, which launched 4G two years ago, is likely to be the model for the UK, according to Nicoll, who says: "In the US, 4G started with unlimited data, then it went to shared data plans." In the US, operators including Verizon Wireless and AT&T have launched 30, 40 and 50GB shared data plans starting at $300 per month, aimed at SMBs. "It's ideal as you have one fixed cost so you can control your expenses," says Nicoll. Faster 4G services can benefit many SMBs, and the options are already starting to grow. But Nicoll advises to proceed with caution and assess the options, rather than entering a long term contract just yet. He says: "I would caution SMBs not to jump in too soon and don't enter into a long term plan, so you can keep your options open if a better offer comes up." Check out the business productivity potential for 4G.